The ankle high soft sole slipper socks by Dynarex are lightweight and slip resistant socks that prevent accidental falls for patients in healthcare facilities. 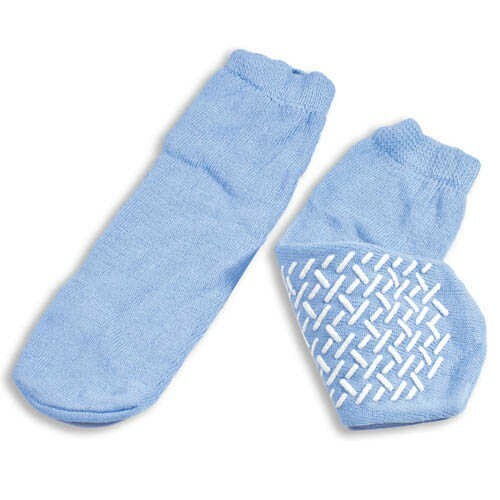 The socks have stretchable material which cater to different sizes of feet. The socks are made of cotton which give warmth and comfort for all users. off the end of your feet, so you are always pulling them back up.